amy jean: 17 weeks can you believe it? Our baby weighs about 5 ounces now (about as much as a turnip), and she's around 5 inches long from head to bottom. She can move her joints, and her sweat glands are starting to develop. I cant be sure that i'm feeling her move yet... they say it feels like gas bubbles. so im not sure is it the gas bubbles or baby doll kicking me?? Im sure as she gets stronger and bigger her movements will become more distinct. i really cant wait to feel her for sure. last night as we were laying down for bed i thought i felt her move. I said something about it to jesse and i've never seen him move so fast. he threw rosie off my belly and put his hand there. we waiting in silence for a few mins but nothing happened. poor guy he was so excited. I really cant believe that im this far along already. the time just keeps on going by so fast. i'm almost halfway there now. I have to sleep on my sides now. which is awful for me. sleeping has become really hard for me. i wake up about every two hours to pee then it takes me 30 mins to find a comfortable position to be in on my side then i finally fall back asleep just to repeat the cycle in a few hours. goodies i got in the mail today!!! I also got some cute booties in purple from the same seller, Five Sisterz. I love these! i cant wait to see them on baby doll's feet. 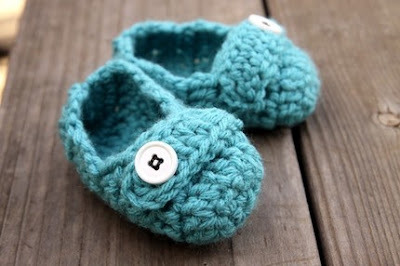 I mean baby shoes are kinda pointless since she wont be walking any where but you cant deny how adorable they are. I actually ordered this before i knew her gender from truly sanctuary. I've just got to represent the tattoos!! you can be sure to see more tattoo inspired baby stuff to come. EEEEE!!! you got the little shoes! they are so cute! i love them! they are truly adorable. 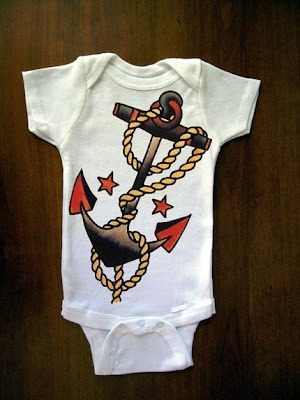 i cant wait to see them on baby dolls feet! maybe i should put them on rosie's feet i bet that would be cute too.